Hello, my name is Alexandria. 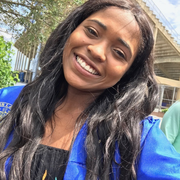 I am currently an upcoming sophomore at Neumann University studying nursing. I love being around kids. I also enjoy doing different fun activities such as playing outside, going to the pool, or even sitting in the house playing games. I have 1 year experience in babysitting. I love forward from hearing from you.